During the rise of the iPhone, LG needed to broaden its mindshare among audiences looking for Android, Windows, and feature phones. 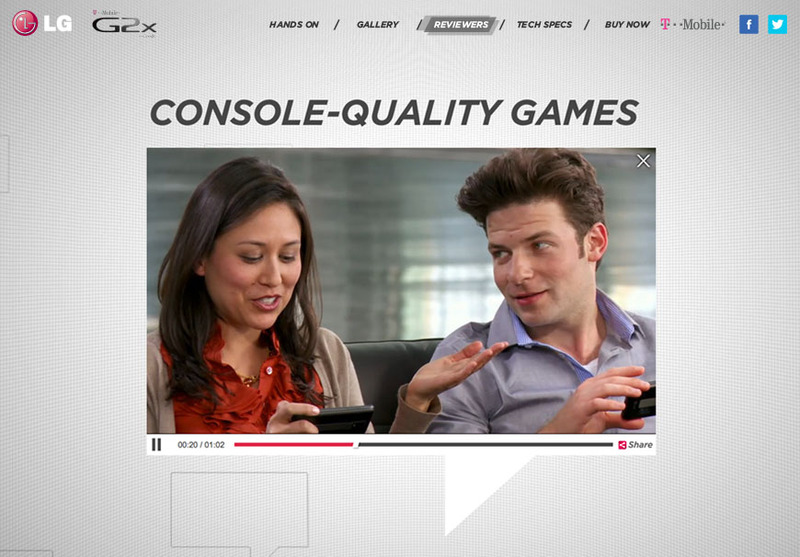 I was an Art Director on a range of digital campaigns, aimed at LG’s various consumer segments. What if you could be Iron Man? We appealed to Superhero movie audiences who saw themselves as the star of their story by launching a first-person choose-your-own-adventure experience that featured the Ally in action. LG beat it's competitors to the punch by releasing the G2X, the world's first dual-core phone. We spoke to technophiles with real-people reviews of its cutting-edge features. For the early adopter a complex social media life, the LG Quantum was a phone with an insatiable appetite. We build a custom Facebook app that ingested profiles into simple Windows Phone tiles and tasks. Feature phones had a place amongst heavy-texting teens. LG’s texting competition show demonstrated the power of a full qwerty keyboard. 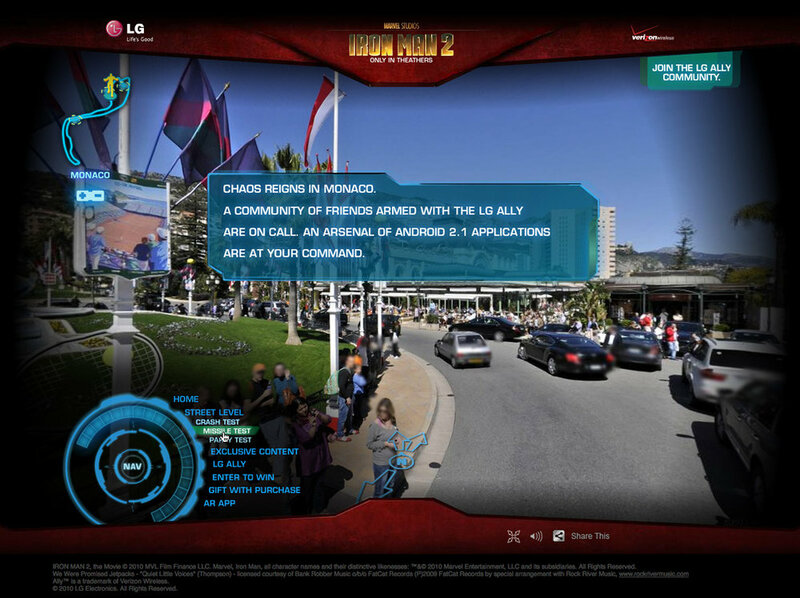 We designed the official site during the course of the competition. This concept for lge.com used Facebook data and on-site behavior to offer a personalized path towards purchase. We launched The LG Girl, LG’s resident tech expert. She covered events, did reviews, demonstrations, and blogged about all things LG Mobile.